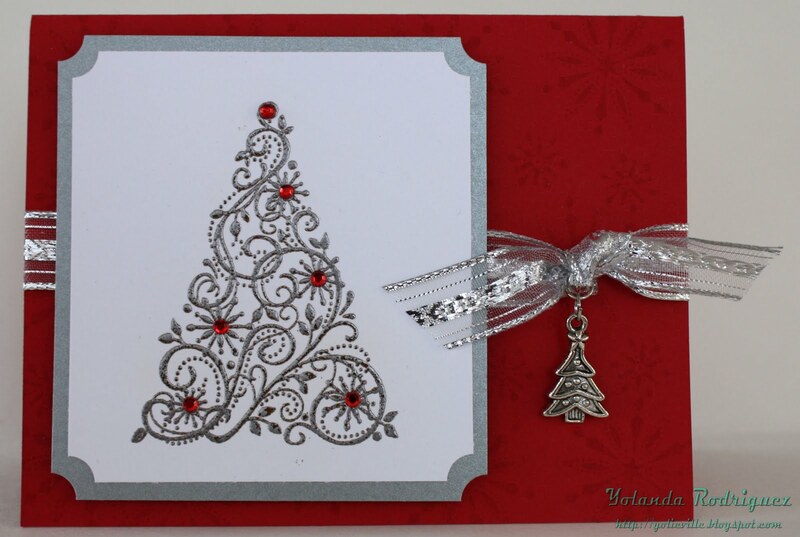 This is another one of the cards I made last year. It was so easy to make! I easily made a whole bunch of these. The card base is Papertrey Ink Pure Poppy. I stamped the background with one of the snowflake stamps from SU Snow Swirled. The silver matte is also from Papertrey Ink. 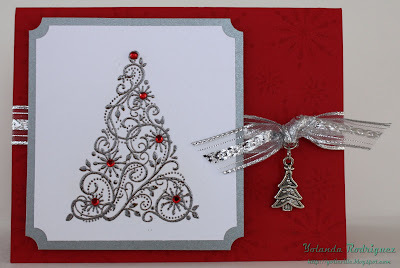 I stamped the tree from Snow Swirled with versa mark and embossed with silver embossing powder. For the jewels - the ones in the this picture happen to come from Joanns, but I had started using Taylor's Tiny Twinkles from Taylored Expressions. I ran out of the red twinkles and ended up going to Joanns to buy some others. The ribbon is beautiful but I don't know what store it came from. I bought it off my neighbor who used to have a flower shop and she got it from the warehouse where she used to get her flowers. I wish they sold those rolls of ribbon that I bought from her at the stores. The rolls are huge! 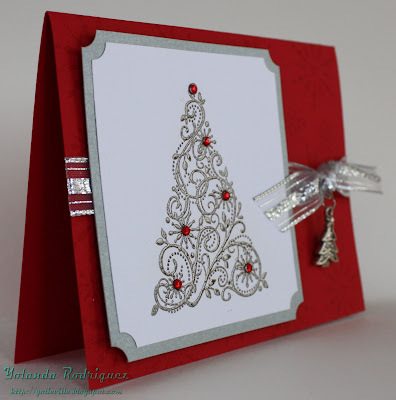 This next one - I ran the card through the Cuttlebug with the Snowflake Embossing Folder. 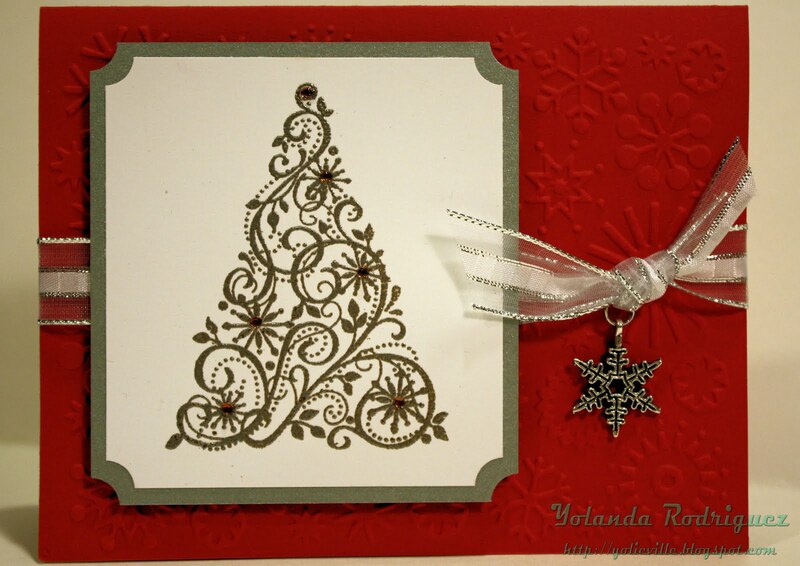 The tree charm from above and the snowflake charm are from Stamp and Create. 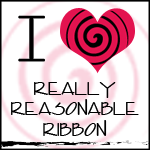 The ribbon also came from my neighbor.